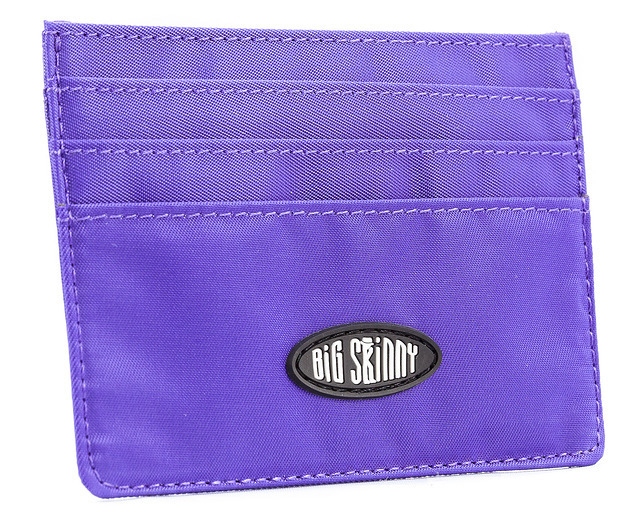 The Mini Skinny is the perfect choice for times when you just need to carry a couple of cards and an ID. 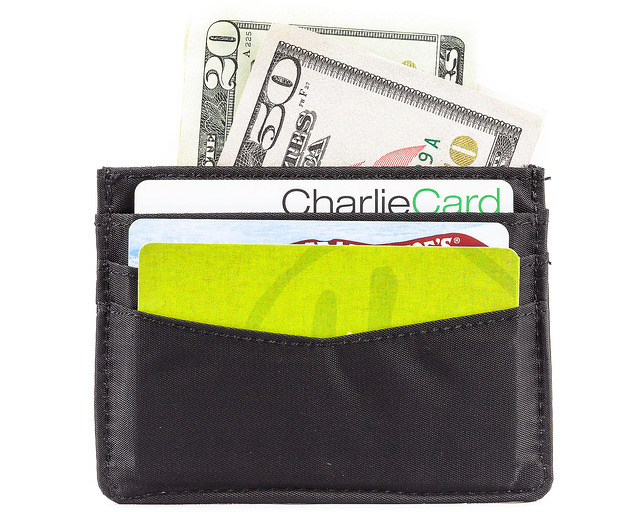 The Mini Skinny is the world's thinnest credit card holder, meaning it can fit in nearly any pocket or purse. Even though it's small, it's mighty. The mini credit card holder has enough space to fit 10 to 12 full-size plastic cards, yet it's smaller and thinner than most cellphone cases. The versatile design could even be used as a mini business card holder. 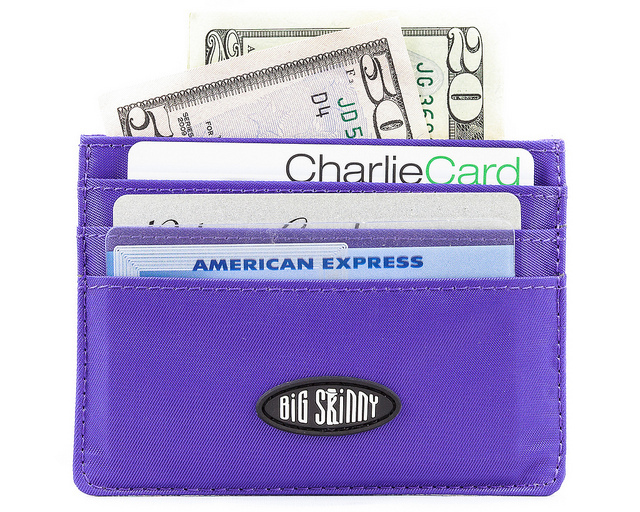 The Mini Skinny is packed with thoughtful features, like rubberized backing to keep cards and cash secure. 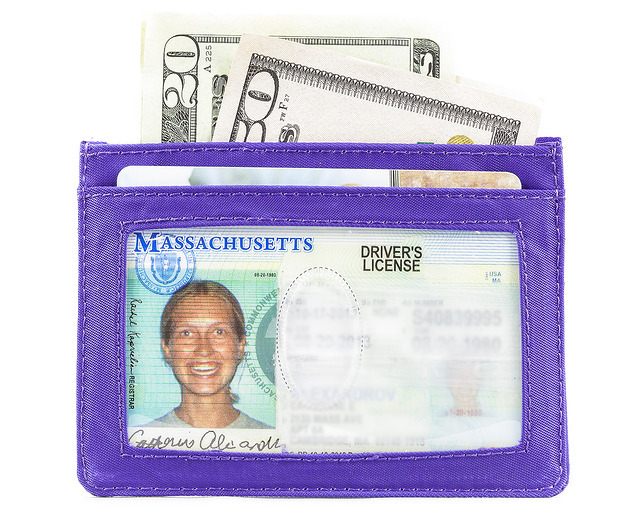 There's also a clear ID window on the front with an oval cut-out window to make it easy to remove your ID when needed. There's even a storage compartment at the top of the design for important items, a couple of coins or any other small, loose objects. 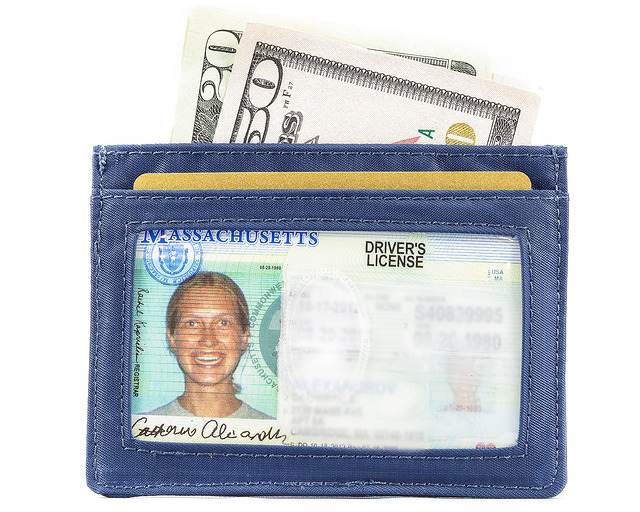 Just toss your ID, some cash and a couple of cards in your Mini Skinny and you're ready to go. Only 1/16" (2 mm) thin when empty! 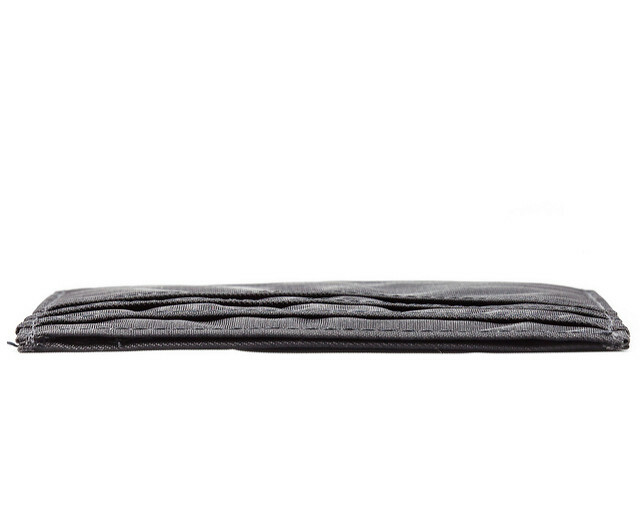 The Mini Skinny is great for travelling light. 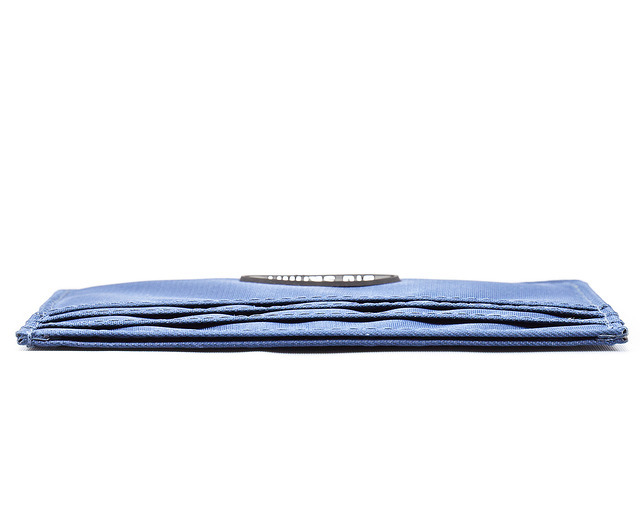 Bikers, road trips and outdoorsy athletic types simply can't get enough of this wallet's innovative design. This ID credit card holder fits comfortably in front and back pockets. 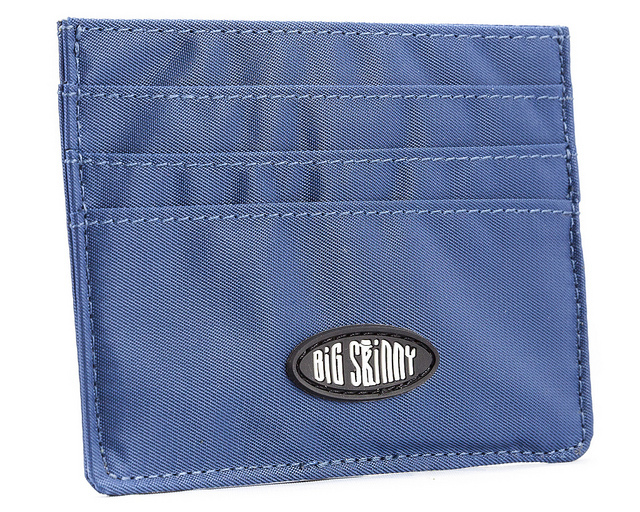 Our customers report they hardly feel the Mini Skinny in their pockets at all! Some people prefer using it as a holder for their business cards, while others like to use it as a grab-and-go type of wallet to store everything they need on a daily basis. 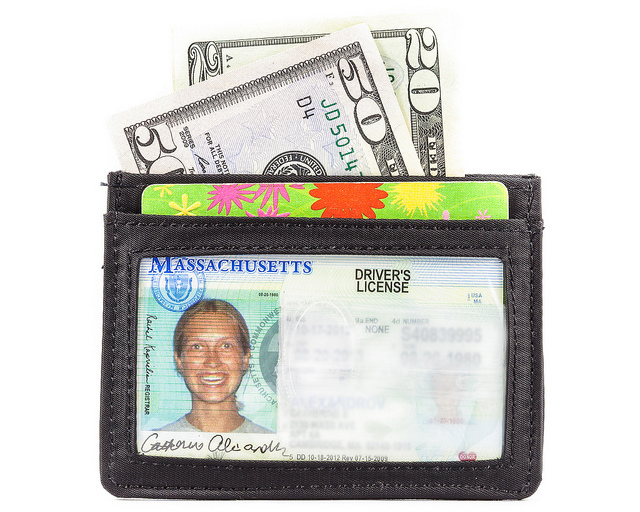 The Mini Skinny is a great way to keep all of your most important ID in one convenient package. 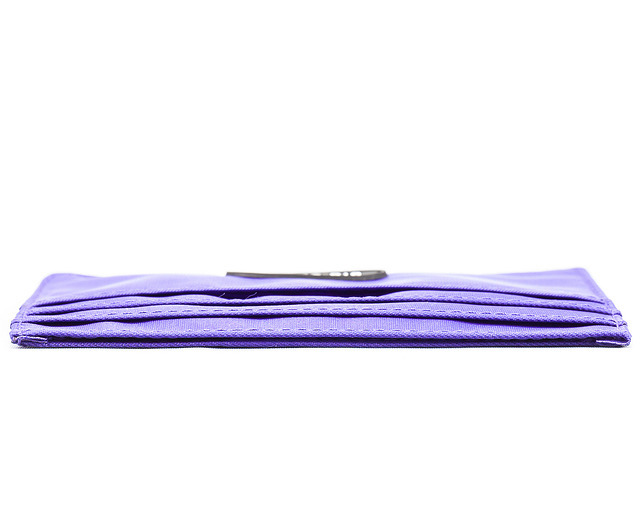 For any ladies that love small clutches, the Mini Skinny is a great way to conveniently store all of your valuables in a tiny package that will fit easily in your purse. No more loose cash and ID cards swimming around the bottom of your clutch just waiting to spill out the moment you undo the clasp. This wallet is great for minimizing bulk, reducing the weight of your purse, and keeping your valuables safe and secure. Take your pick from our huge selection of colors and styles! While you're at it, why don't you grab one for all of your friends? 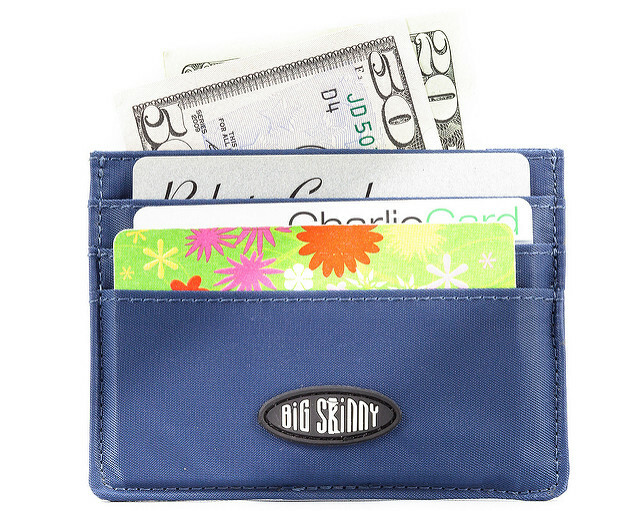 I was in Herbivore in Portland and spied the BigSkinny wallets. I have never liked bulky wallets and carried everything in a business card holder but they wear out. I liked it enough until I saw this one online. It is genius how both sides and the middle (nice bonus!) is used to keep everything tidy in a skinny space. It fits perfectly in my back pocket and looks like it'd be almost impossible to steal. I wish I had seen this first. ProsReally thin! Middle space is perfect for bills. Space holds just enough. Great color. ConsI WISH I had seen it first and saved $26 or on the first one. All you need. Does the job! I've carried one for ten years. Sent one to a friend who needed a wallet. He laughed and thought it was a joke. He tried it, now you couldn't get it away from him. He loves it. The Big Skinny is all you need. No more fat, heavy wallet full of junk, deforming your dress trousers and uncomfortable to sit on. Best wallet I've ever had. I love it! ProsMinimalistic. All you need. Does the job. Inexpensive. ConsIf you like to carry a file cabinet with you, this is not for you! 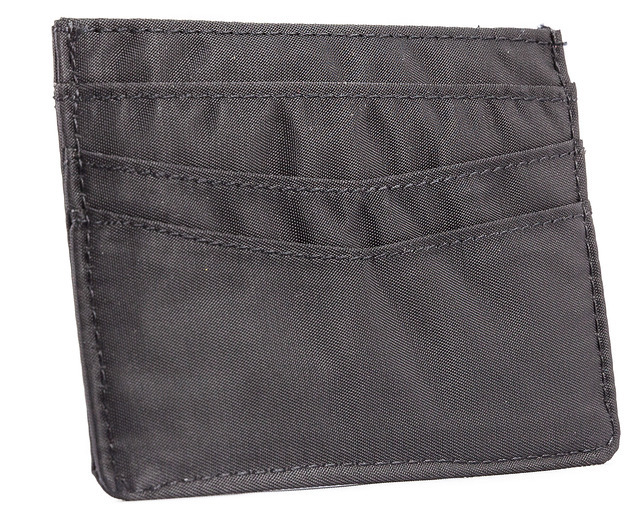 Works great nice little pocket wallet holds allot of stuff. Would recommend. ProsSmall many ways to use. Got this for my husband to keep his cards organized. He loves it! I wanted to love this because of its size, but I could not fit 7 CC plus license and still be able to pull out the CCs without a major battle with the wallet. I purchased the nylon trifold instead and am happy with it. ProsAbout as small as you can get. Received my Mini Skinny and really like it. If it were a 1/8-1/4" larger it would be perfect. The zipper area is a little difficult for my fingers to get in to. The funny thing is, I got on your web site for the first time and got so excited I forgot that I needed RFID protection. Oh me! Next time. Consjust a weee bit too small. I love it-- this is my second big skinny-- the last one lasted around 9 years. Very durable. Amazingly thin. Well designed. High quality. This item is perfect for me. I can carry whatever cards I need at the time and also my id. Got one for my wife & one for me. My wife & I both love our mini skinnys. I have two other big skinnys & my wife has one that I have her a couple of years ago. We both think these are the best wallets made! I can't even remember when I purchased mine, I think it was around 2012. It's been perfect, and I still show it off when a friend pulls out their oversized leather monstrosity that's killing their backside. This is so unbelievably thin, and still fits 8+ plastic cards, along with 5+ business cards and a small fold of bills in the middle. The essentials, and nothing more. The folds allow cards to pull in and out very easily, although I've never had a card fall out on it's own; absolutely perfect. Silly enough, the only issue I had was the logo stitched onto the front was relatively too thick. 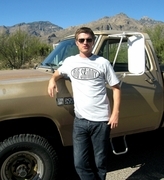 I pulled the thread out a while ago and removed it, but I don't feel bad as I still refer friends to this site. Long story short, I'd definitely recommend, and if the thing was showing any signs of wear, I'd only purchase the same exact model to replace it. ProsThin (duh). Adequate storage. Holds cards securely, but easy to intentionally remove. Clear window for ID. Bill and business card storage in the middle fold.